We are people of routine. We wake up. Get dressed. Grab coffee. Take the same route to work. Barely speak to our co-workers. Count down the hours until lunch. Eat lunch and then begin to count down the hours until it’s time to go home. We get home, make dinner, play with the kids if you have them, watch your favorite TV show and then it’s time for bed. The next morning, we do it all over again. But what happens when your routine is interrupted because you don’t have breakfast? I don’t mean forgetting to eat. I mean, you literally don’t have food in the house. Or, you couldn’t sleep the night before because you were freezing cold because your mom or dad couldn’t get the gas bill paid this month. What happens to your routine when you get laid off from work and have two children to take care of on your own as a single mom or dad? It isn’t easy to stick to a routine when you don’t have a car and you have to walk miles to the nearest bus stop hoping that you didn’t miss it. How is a routine even feasible when you wake up to your father screaming and physically abusing your mother at 1:07 am? How do you focus in school when all you can think about is the sound of your father’s hand hitting your mothers face? What do you do when drugs enter your home and take your father and your family resources hostage? How would that affect your routine? As a child, in some form or another I was involved with most, if not all of these scenarios. Fortunately, I was blessed with the ability to play sports well. I channeled my emotions and pain into dominance and passion for being the best. I made it my mission to do whatever it took to take care of my mother and sister! My mother was DRIVEN to never give up because of her love for her children. I was DRIVEN by my inability to help my family when we needed it most. NOW I am in a position to, not only help my family, but to help other families and young people across the country. DRIVEN is not about finding something to keep you motivated, it is about finding someone! Why do you do the things you do? Is it for personal advancement? Do you make decisions that are solely good for you? Or do you wake up to support others? Do you encourage others? Not just your small circle of friends, but do you go to extra lengths to help strangers…or the people that will never be able to repay you? If you want to change in the world you have to become the change that you hope to see. My life changed when I stopped looking out the window at what others weren’t doing for me and started looking in the mirror to see what I had to change so I could be there for others. We win when we work together. We false start when we are apart. DRIVEN is about US! Let’s sacrifice a piece of ourselves so that others can use that “piece” to get them further than they could go alone. Stay DRIVEN. 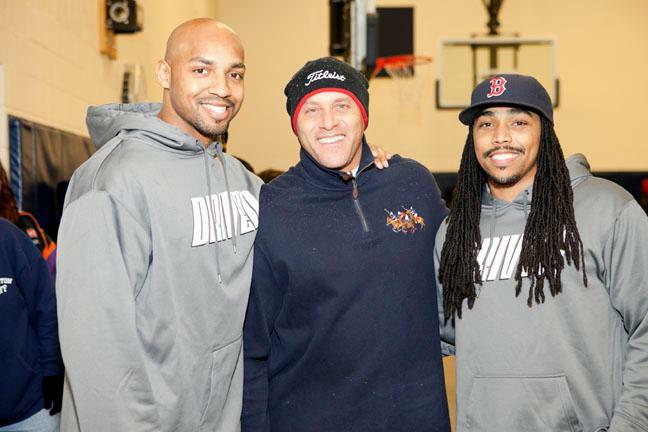 The DRIVEN Foundation was established in 2008 by former NFL and Ohio State University Football players and graduates Roy Hall and Antonio Smith. Over the course of four years, DRIVEN has become one of the most dependable Ohio non-profit organizations. Born and raised in Ohio, both Roy and Antonio are more than aware of the need for a “serve first” organization. 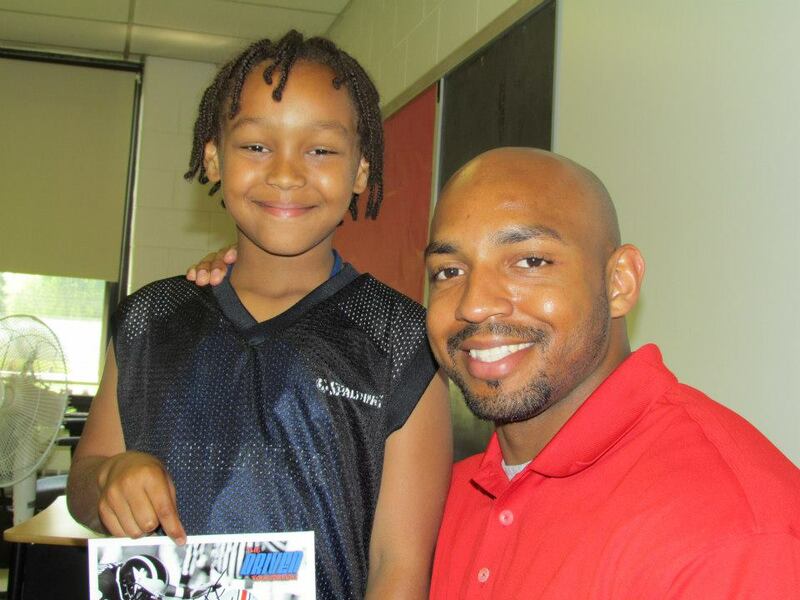 We are an organization committed to providing multiple outreach events, character building programs and fitness programs serving families and youths throughout Central Ohio and surrounding cities. Rooted in Columbus, DRIVEN is an organization of versatility. 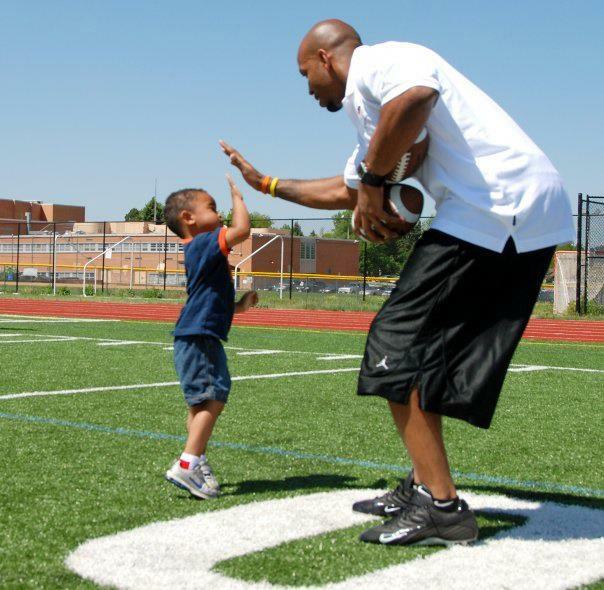 Mentoring, after school fitness programs, motivational speaking, football camps and Nationwide Children’s Hospital patient birthday parties are just a few vehicles in which DRIVEN impacts children and families. Additionally, DRIVEN has distributed approximately 350,000 pounds of FREE food to more than 3,500 deserving Ohio families during the last four years. Ultimately, DRIVEN’s goal is to impact the world one life at a time, starting with Central Ohio. Support us to become a part of the impact.